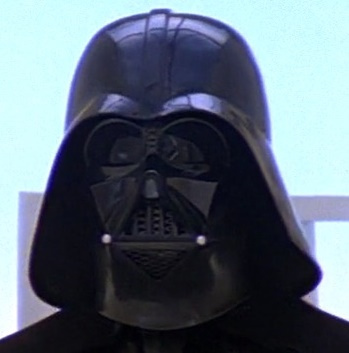 1) Find an image of Vader you like. Crop it so that it's centered horizontally. 2) Create a copy of that image flipped horizontally. 3) Blend the two images using Overlay selection "Lighten". 4) Blend the two images using Overlay selection "Darken". 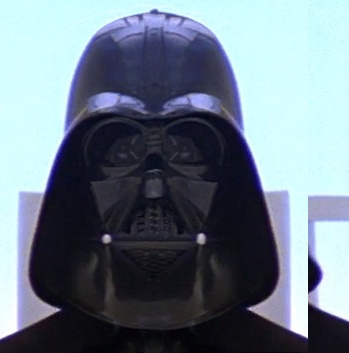 And the Spaceballs Vader, like in the third photo. 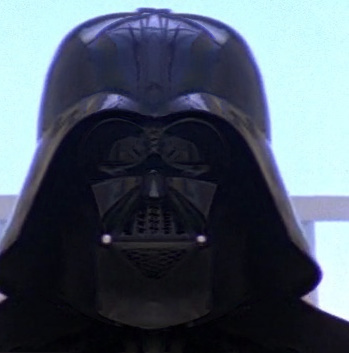 I believe it was the original symmetric Vader!